After a successful debut at the Palais de la Culture in Abidjan, and a lovely evening playing music at Villa Kaidin last night for several ambassadors and their friends, Zieti’s future has never looked so bright. Plans are in the works for a concert next weekend in Abidjan featuring Zieti, and we’re in preliminary talks to nab a regular gig at a club in town. 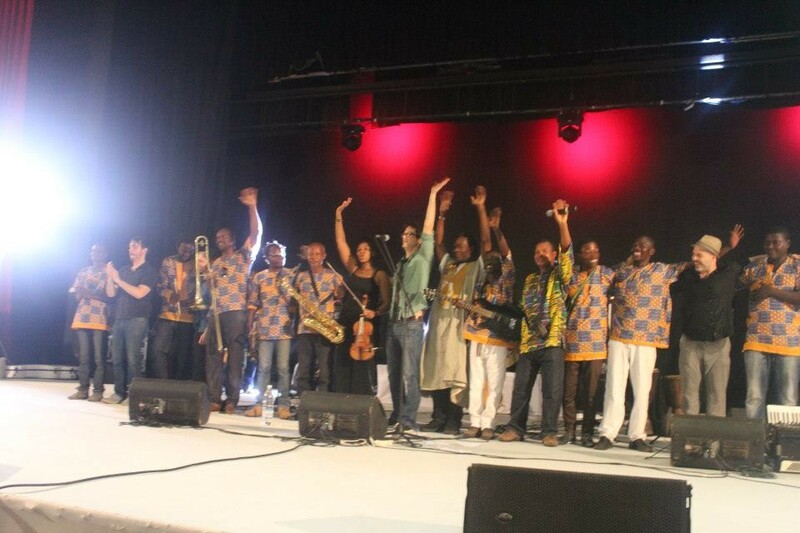 None of this would have been possible without the outreach and support of new friends Matuto and the excellent work done by American Music Abroad and the US Embassy in Abidjan. We cannot thank them enough for the opportunity they have given us this past week. We all intend to keep working and maintain this momentum throughout 2013 and beyond. 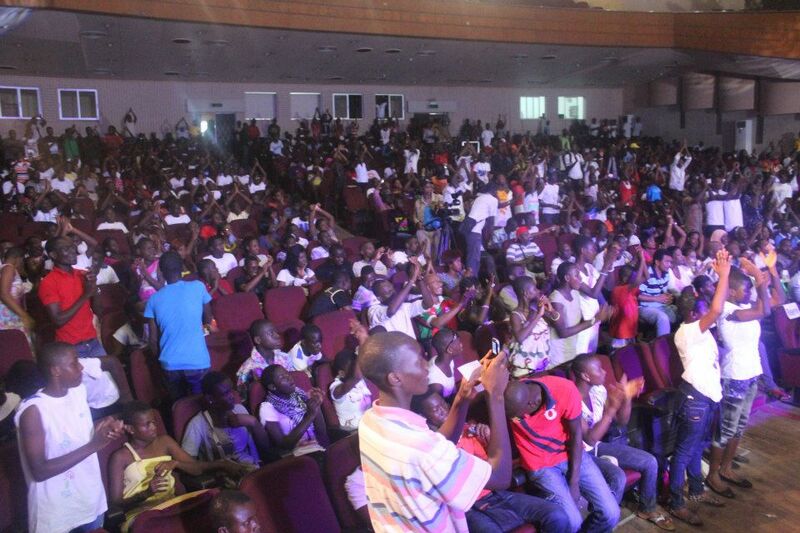 By all accounts Sunday’s concert at the Palais de la Culture in Abidjan was a smashing success! Zieti played the opening set, plus an encore, and got the room on their feet. Then Matuto brought the house down! To round out the evening, the two bands joined forces onstage for a couple more tunes. 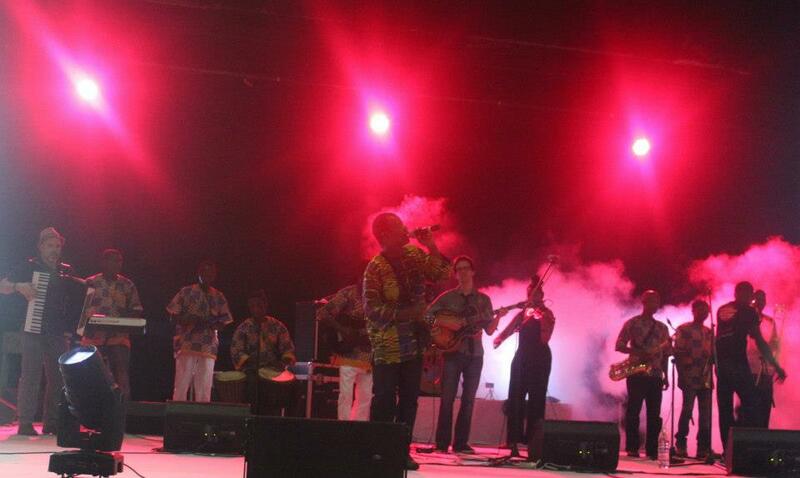 The concert was organized by the US embassy, and our ambassador was front and center, enjoying the music all night. Many thanks to everyone’s hard work to make it happen. Zieti looks forward to more magical evenings of music and cross-cultural fellowship in the near future. 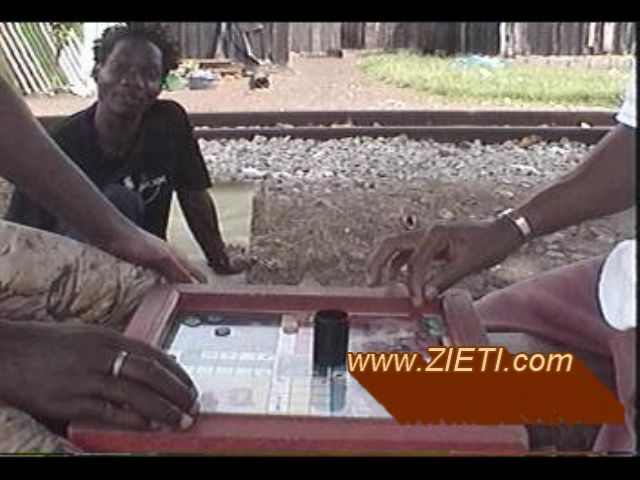 Meanwhile, stay tuned for video shot by Radio-Television Ivoire of the evening, coming to these pages as soon as possible! Yes-I! 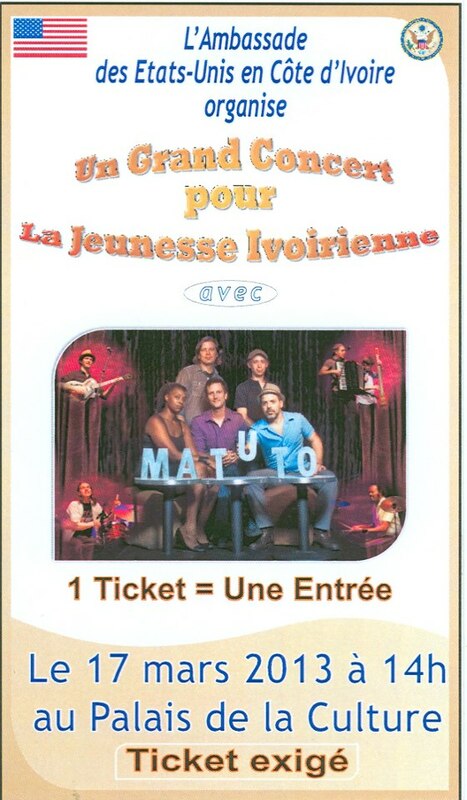 We’re delighted to report that Zieti has been invited to join American band Matuto onstage at the Palais de la Culture in Abidjan for an epic evening of original, live music this Sunday (March 17)! Matuto is a stellar band that’s crafted a unique and wonderful sound they call “Appalachia-gone-Afro-Brazilian.” That combination may sound nuts, but their excellent musicianship and positive spirit turn what sounds like an academic exercise into a brilliant, vibrant new kind of music that will leave you marvelling. They are currently on tour in Africa through a US State Department program, and will be landing in Abidjan this weekend. We were put in touch through our mutual publicist (Flipswitch), and Matuto graciously invited Zieti to join them onstage. Laurent and Narcisse and their bandmates in Abidjan have been rehearsing and are ready to rock the Palais de la Culture in Treichville with some new material. Stay tuned for photos and video next week. And if you’re in Abidjan this Sunday, FAUT PAS RATER!!!!!! 2012 was quite a grand leap forward for Zieti! Our debut album Zemelewa received excellent reviews last Spring, and we had a blast talking about the project on NPR and having our songs and story reach so many ears and minds. 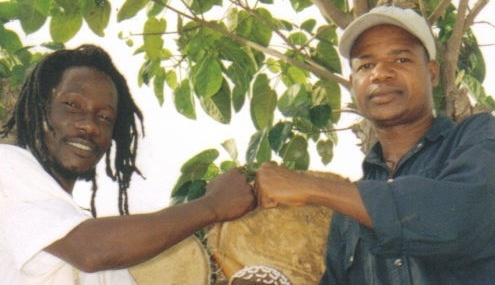 The album’s release also brought Laurent and Narcisse back together in Abidjan after years of separation, and introduced us to the miracle of video chat across an ocean. We were renewed and reunited. 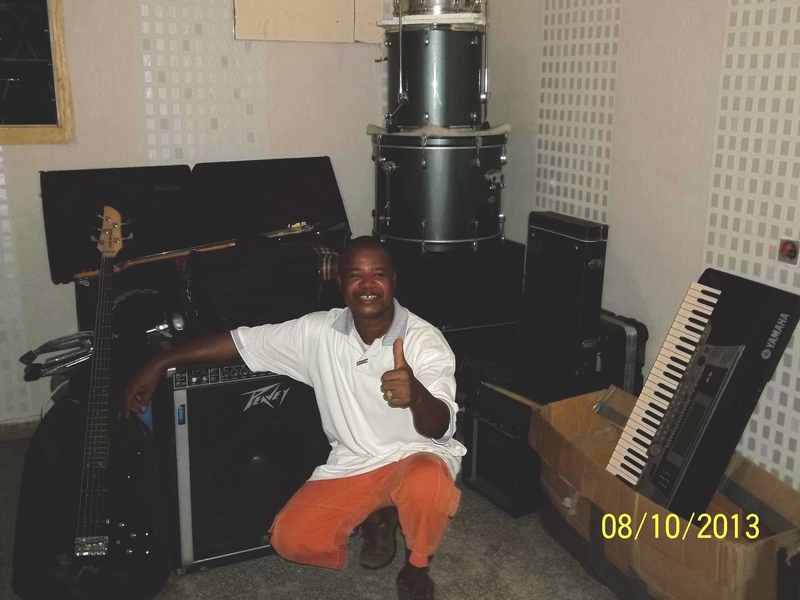 Thanks to great friend Cherif and some wonderful musicians in the DC area, 2012 also saw three completed shipments to Abidjan containing all the musical instruments and sound gear Narcisse and Laurent need for rehearsal, recording and performance, all safely stored in their home. Zieti has always had talent and beaucoup heart, but 2012 has brought some wonderful new energy and support to the project, in the form of gear and terra firma on which to build a future through music in the Ivory Coast. We’re looking forward optimistically to 2013, when we’ll begin to set this vision literally in concrete. Wow! It’s been 2 months+ since our last update. Our bad. But rest assured, Zieti hasn’t been sleeping. In fact, over the last two months–miracle of miracles!–we have entered an excellent new age of video Skype with Laurent and Narcisse from their home in Abidjan. It’s an amazing thing to see each other in real time after so many years. We’ve recently started recording our Skypes as well, and will start posting video from those sessions soon. Even better is that yesterday we packed our final load of donated musical gear into our friend Cherif’s container, bound for Abidjan next week. 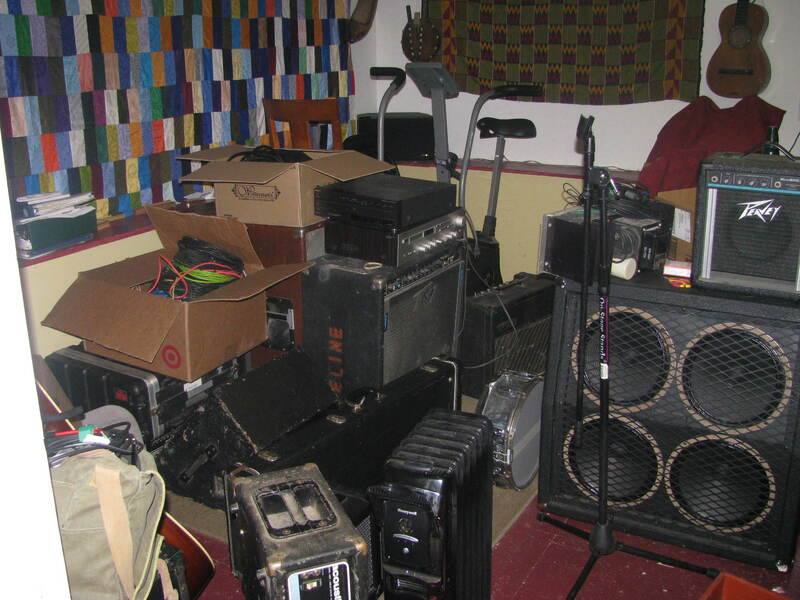 This is the big stuff (PA system, bass and guitar amps, more instruments, stereos, etc.) 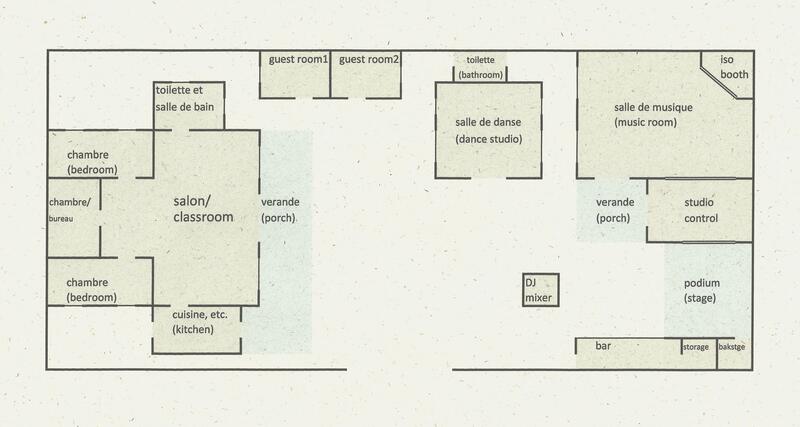 and with it Laurent and Narcisse will have everything they need to outfit a modest live music venue and band in Abidjan. They have already started recruiting some excellent musicians to the project, and will soon be able to practice and perform on their own steam. Yes-I! Despite our online hiatus there are indeed many Zietifications afoot on both sides of the pond, and we’ll be keeping it fresh moving forward. It took a month to cross the ocean and another 2 months to clear customs, but our second shipment of musical gear to Abidjan has finally arrived safe-and-sound into the hands of Laurent and Narcisse. Once again, all praises to our good friend Cherif for donating space in his container and for dealing with the incredibly amorphous and frustrating systems by which one gets their goods out of Abidjan’s port. None of this is possible without Cherif’s generosity and steady hand. Heartfelt thanks as well to the wonderful musicians and supporters in the DC area who donated gear or money for these shipments. To the drums, guitars, sub-mixer and monitors shipped in late 2011, we have now added a 16-channel (Mackie) mixer & snake, power amp, speakers, mics, stands, cables & keyboard. With that, the Zieti crew are fully equipped to provide live sound for a party or small cafe in Abidjan. Our next shipment later this year will raise the power level a notch or two, with bass and guitar amplifiers, a stronger power amp and PA speakers to match, along with some lovely bits like a new bass, a nice old stereo, a trombone, etc. In the meantime, Narcisse is in the the process of getting their new laptop linked to the internet. This will mean constant email access without having to pay at a kiosk, and hopefully many more images and clips flowing over the pond (new digital camera as well). Can video Skype be far behind? Somewhat lost in all the recent good press for Zieti has been the best news of all! After five years of living off the grid in a region that was completely decimated by violence during the recent turmoil in Cote d’Ivoire, Zieti’s c0-writer and musical director Laurent (at left in the picture) has finally re-surfaced and returned to Abidjan, safe and sound. He has moved in with Narcisse and his family to help manage the shipments of musical equipment, and to lay plans for Zieti’s future. We are all anxiously awaiting word from Cherif that our second shipment has arrived (any day now), everything has cleared customs and is ready to be collected at the port. Once Laurent and Narcisse have everything in hand, we will take stock and decide how best to utilize these new resources for the future of the band and their community. 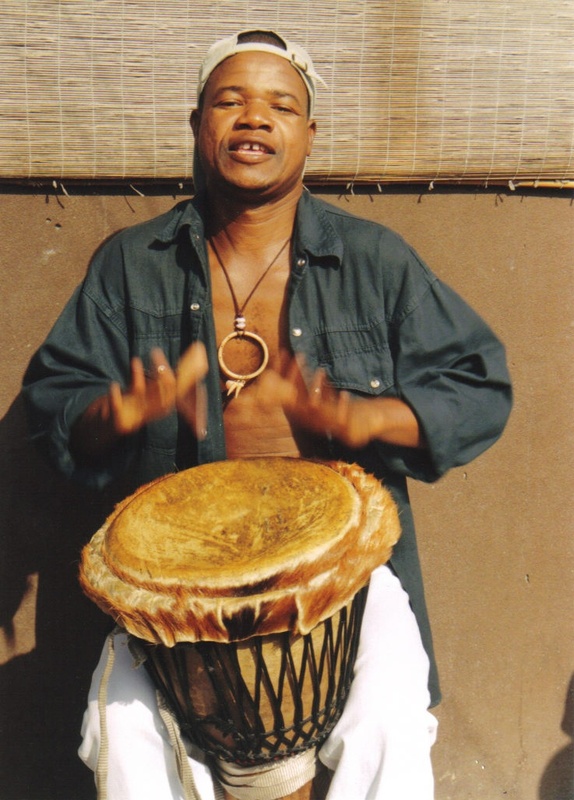 Laurent has suggested we partner with local NGOs in their home region of Doukoue, and use the gear to help establish a Guere cultural center there, a place where Guere musicians can develop their rich traditions and offer some form of cultural healing after all the recent chaos and despair. We can’t think of a more beautiful plan, and will certainly support whatever they decide to do, as long as Zieti is together, making music, and helping others in their community do the same.